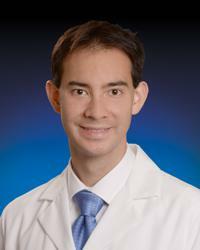 Jason Chin, MD is a graduate of the integrated vascular surgery residency at Yale-New Haven Hospital. He currently practices with MedStar Heart & Vascular Institute at MedStar Union Memorial Hospital and MedStar Harbor Hospital. Throughout his training, Dr. Chin cared for the full array of vascular disease including complex open and endovacsular aortic aneurysm repair, endovascular limb salvage, redo bypasses, graft infections, and dialysis access creation and revision. He takes a special interest in advanced endovascular techniques for limb salvage, carotid artery disease, and aneurysm repair. Beyond arterial disease, he is well-versed in the surgical and minimally-invasive treatment of venous thrombosis and insufficiency for varicose veins, swelling, and wounds. Initially a student of biomedical engineering, Dr. Chin maintains a keen interest in surgical device development. His work on vascular access devices has led to multiple pending patents, grant funding, and his co-founding of a medical device company to further advance these pursuits and bring them to market. His academic research into vascular surgery outcomes has resulted in the publication of multiple peer reviewed journal articles, book chapters, and both regional and national presentations. Dr. Chin understands that each patient is unique and makes it a priority to learn as much as he can about their individual lifestyle, goals, and what is important to them. He chose vascular surgery for the wide range of medical, surgical, and minimally-invasive options to treat individual vascular diseases. Taking these together with his experience in innovation, he aims to provide the most technically advanced and individualized treatment possible for each patient.